First up, thank you to all my new followers! I am finally on Spring Break! That means more time to blog stalk and create! Stay tuned for more freebies coming soon! If you aren't following me already, you are missing out on freebies, fonts and giveaways! 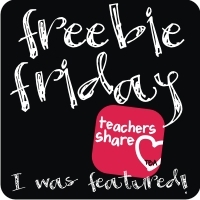 I just updated my FREEBIE tab which houses all my freebies I ever created. Click HERE to directly download them all! 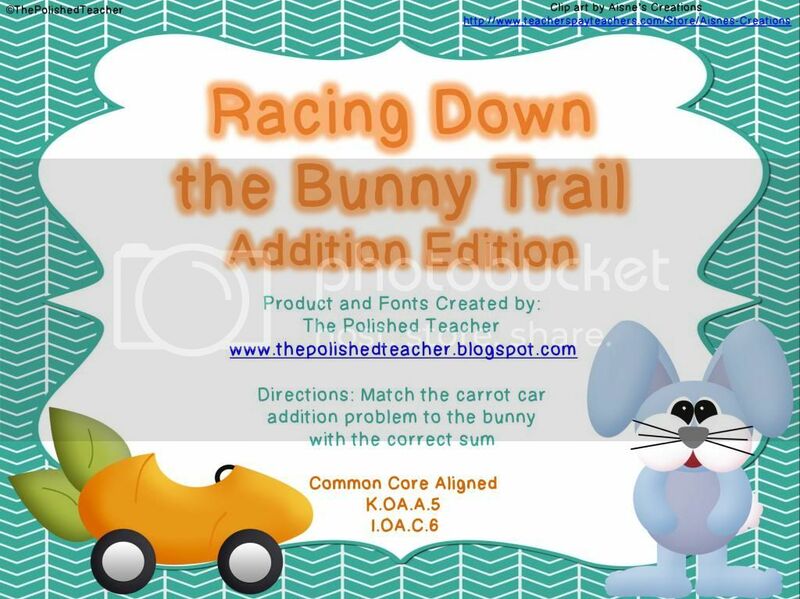 I whipped up this cute common core aligned addition freebie in honor of spring which is right around the corner! I just love the little carrot car! I hope your kiddos enjoy! 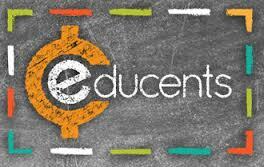 Don't forget to get your free $15 when you sign up for Educents today! We need to go back and brush up on our addition skills in centers and these are just perfect! I hope you enjoy your break. We have three more weeks. SomeBUNNY Loves Your Blog Linky! Can I Ever Keep My Days Straight? Educents! Get a free $15 giftcard today! Giveaway Winner + New Giveaway! April Showers Bring... A Freebie? CYBER SALE! - TpT's Cyber Sale! My entire shop is on sale. I have some GREAT Christmas & January packets! Happy Shopping! Something Big Is Coming... - We are taking a few days off from posting new content on the blog because something big is coming....See ya'll in a few days!! I'm Back With a New Blog - After about a year away from blogging, I am back! Check out my new blog "Chalking On: My Life in Literacy" here. Literacy Resources - Coming soon! Moving Along - A Bird in Hand Designs has moved to Wordpress! You can visit the new site here. See you in 2014! - Merry Christmas from Ms. Solano and The Littles! I love this book. - This is such a beautiful story with a powerful message. Graphics by PhotoDesignz and B2N2 Scraps.